If you’re looking for a unique beach location in one of Italy’s most striking regions, then learn Italian in Tropea! Tropea is a medieval town in Calabria, on the south west coast of Italy. Our students just fall in love with Tropea’s winding country roads, sandy bays and breathtaking views. On an Italian course in Tropea, you’ll be ideally situated for enjoying all that Mediterranean life has to offer, from swimming in the sea to exploring the peaceful bays in and around the town. Unaffected by mass tourism, Tropea’s white sandy beaches and immaculate waters are perfect for sailing, surfing, or just complete relaxation. 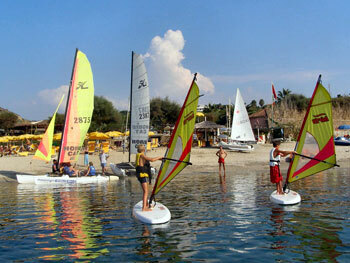 Our school in Tropea has 20 years of experience and is open from March to November. The school offers a great activities program to help you get the most from your Italian course, including cultural excursions to UNESCO World Heritage sites, culinary activities and sporting excursions! Our school in Tropea is perfectly located just a few steps from the sea and has long been a place to learn Italian in a cosy and relaxed environment. The school building, situated in the heart of the town, has a wonderful history as it was founded over 20 years ago as a cultural cafe with a very special ambience and atmosphere, offering people a place to feel good, for cultural exchange and for interesting conversations. The centre grew in popularity and was soon awarded Italian state-approval by the Ministry of Education, University and Research. Only a couple of years later the centre became a certified Italian language school with classes led by certified academic university graduates who are native speakers of the Italian language. The school stays true to its ideology and maintains student satisfaction and learning efficiency as its focus point. Facilities include: 11 classrooms with multi-media equipment, wireless internet access throughout the school building, an internet room with 2 computers (for a small charge), a music room with guitar and piano (free of charge), a cinema room and a reception area. There is air-conditioning in the entire school. The school is open from March to November. The general Italian language courses are offered from any Monday from March - November and there are just 3-6 students in the group classes, ensuring a lot of personal attention. The Semi-Intensive course (not available to beginners of Italian) consists of 10 Italian classes each week and focuses mainly on Italian for conversation. You will develop your communication skills whilst studying all forms of expression in the spoken language, using newspaper articles, discussing descriptive texts, expanding your vocabulary and covering all kinds of topics in art, culture, society and politics. The most popular Intensive course, consists of 20 classes each week, which are divided into 4 lessons per day, of 55 minutes each, with a break between classes. This is the classic grammar and conversation programme, designed for students of all language levels. You will develop your reading and writing skills as well as your skills in understanding a discussion and interacting in a discussion. There is focus on the structure and the rules of grammar, expending your vocabulary, using idioms, reading texts and the teachers use practical exercises and a wide variety of communication methods and topics to ensure that you learn as effectively as possible. The school also offers the Intensive course PLUS 6 private lessons per week, where you will have the individual classes of 55 minutes in duration on 3 days in the week. Your individual language needs and requirements are catered for in these extra classes and you can choose the topics of focus yourself: whether you are interested in history, music, economy, politics, art, literature, cinema, law, Italian opera, architecture, tourism, medicine - the choice is endless! This combined course of small group classes plus private tuition is ideal for particularly motivated language students! If you wish to book a course of Private classes only, then your course will be designed exactly according to your interests, whether they be Italian for business (economy, tourism, medicine, law, interpreting etc), preparation for specific exams, or classes covering any general topics of your choice. This is the most intensive and often most efficient way of learning, for students who aim to achieve maximum success in the shortest possible time. The school needs to know any special requirements as well as the topics of your lessons in advance of your arrival. You can also combine your general Italian language course at our school in Tropea with a wide selection of sports activities, cooking classes or arts! Choose from Italian with painting (10 additional classes per week), cooking (10 additional classes per week), windsurfing, catamaran sailing, mountain biking or diving! The watersport courses are offered for different levels of competence and there are differing numbers of classes per week accordingly! Contact us for further details on any of these courses, which are ideal for students who are eager to be as active as possible, whilst enjoying the stunningly beautiful town of Tropea at the same time. If you decide to learn Italian in Tropea, you can choose to stay with other students from our school in a shared apartment, just a short walk from the beach. 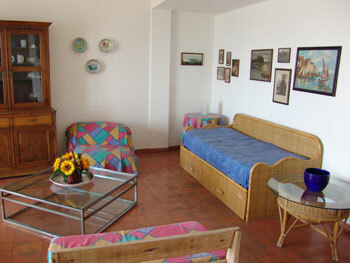 Our shared apartments typically have 2 or 3 bedrooms and a shared kitchen, lounge and bathroom. 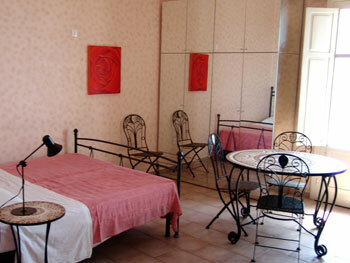 We also offer private studio apartments (single and twin) for a higher standard of accommodation. All apartments are within 10 minutes walking distance of the school and many of them also have a patio, or a balcony, with a view to the mountains or the sea! 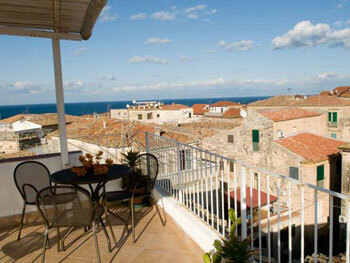 There is a cleaning service every week and towels and bed-linen are included, as well as electricity, water and gas. As a student on an Italian course in Tropea, the beauty and the culture of Southern Italy is right on your doorstep and you will have the chance to discover places in Calabria, Sicily and Campania! 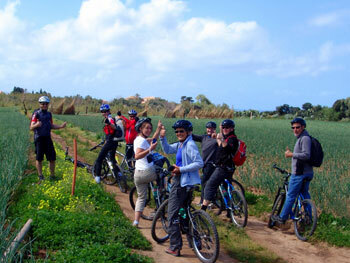 You will benefit from the extensive cultural activities programme offered by our school, including excursions to the coast or inland: to the Aspromonte national park, to the hillside village of Gerace, to Sicily and also to Pompei! Tropea of course also has a lot to offer any sport enthusiast, with many watersport options, as well as mountain bike trips and hikes in the surrounding hills. You can even rent bikes at the school to go out and explore! 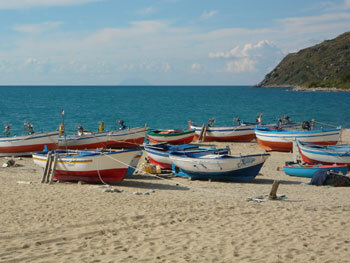 For students who just wish to relax, you can simply practise your Italian on many of the surrounding beaches. The school is also happy to help organise motorboat trips or mini cruises, for students who are interested in these options. There are regular social activities, dinners and parties organised by the school and the warm summer evenings in Tropea are ideal for visiting any of the local bars and cafes. 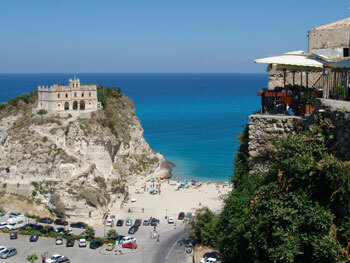 There is no doubt that our students in Tropea learn Italian through “Dolce Vita”! 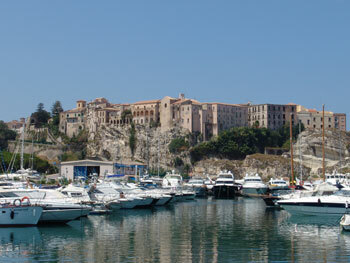 To get to Tropea, you can fly to Lamezia Terma Airport. Alternatively, fly to Reggio Calabria Airport. 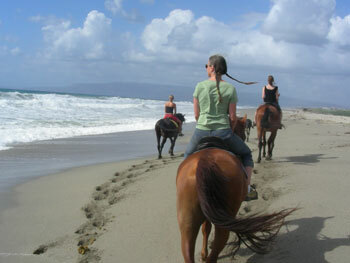 We can arrange airport transfers if required. Please contact us for more information. 5 weeks was too short! The school, the teaching, the location and the staff were perfect! I will be back. I didn't stay in accommodation provided by the school but I wish I had!